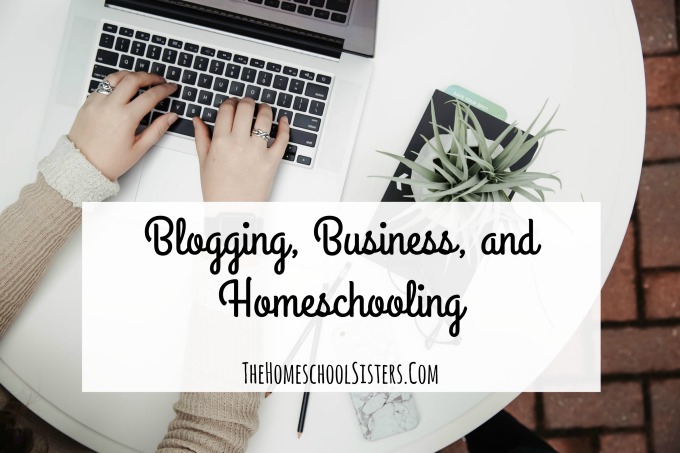 Are you a blogger, or working mama? Or, are you just curious how the business of blogging works behind the scenes? The sisters are joined this week by one of their very favorite bloggers and owner of the Learning Well Community, Alicia Hutchinson! 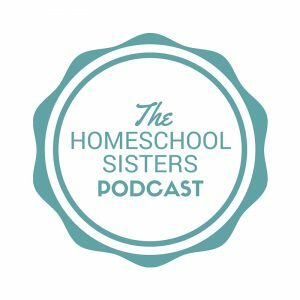 Listen in as they chat about the myth of “balance,” and how Alicia and the sisters tackle homeschooling, work, parenting and homemaking without losing their minds. Plus, learn why you shouldn’t blog for money. At least, not at first! If you’re a working mama or interested in working from home, this episode is a great place to start! I’m lucky to Iive in a pretty terrible school district. 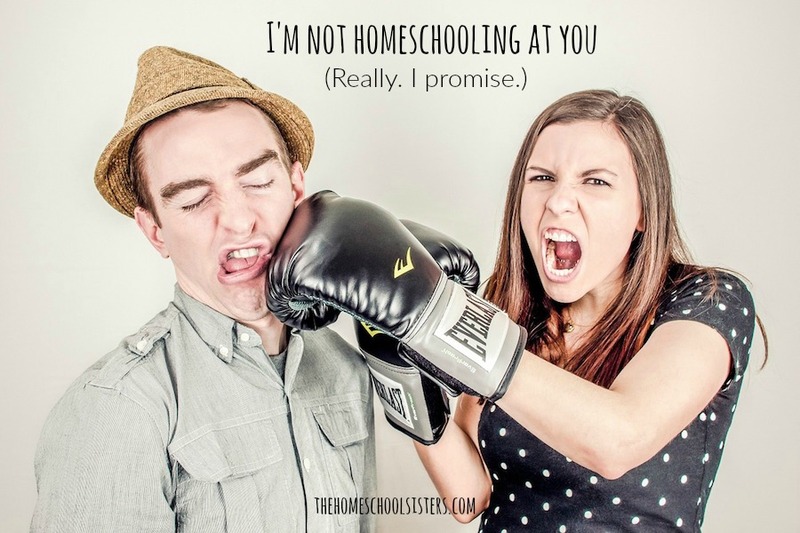 Lucky, as in – people don’t really question our decision to homeschool. And sometimes, for the sake of peace and quiet, I don’t tell them that my son went to a small church preschool that was adorable, and then we tried a private Montessori-based school that was amazing, but that it was also expensive and would have changed our lives entirely if we had decided to send him there full-time. 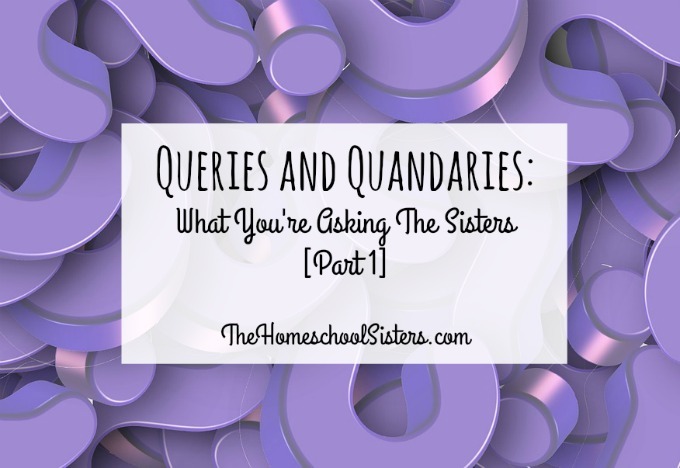 The sisters are answering your questions in this episode- from dads who distract (often with plans that are more fun! ), to testing, to weekly homeschool planning. They also chat about homeschooling kids with special needs and how organizational systems save their bacon. 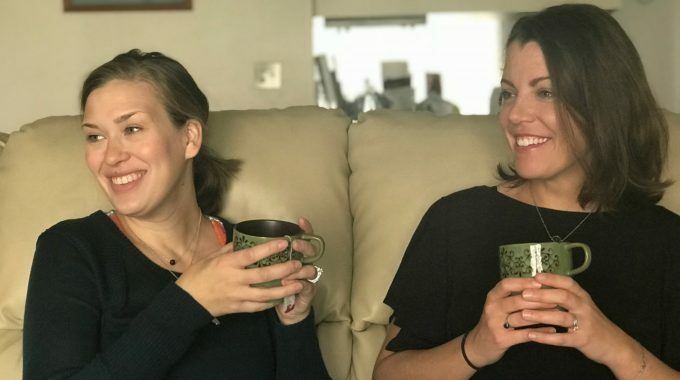 So pour yourself a cup of coffee or tea, and listen in as Cait and Kara share their ideas. 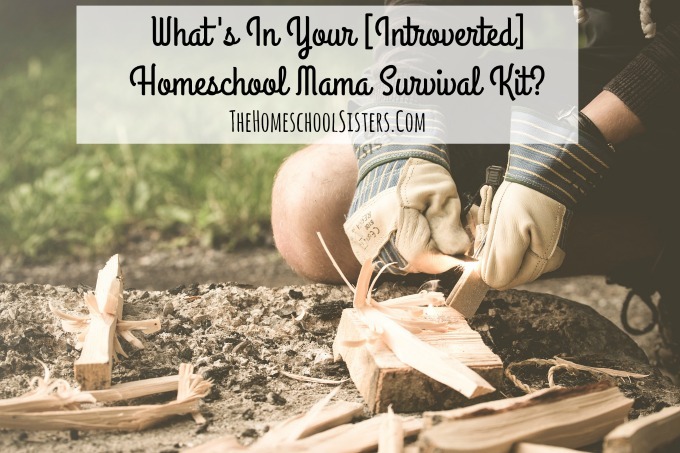 What’s In Your [Introverted] Homeschool Mama Survival Kit? For the past couple months, my oldest son has been obsessed with survivalism.